The second briefing, which includes the bipartisan “Gang of Eight” congressional leaders, is to be held at 2 p.m., following the previously scheduled noon briefing for House Intelligence Committee Chairman Devin Nunes, R-Ca., and House Oversight Committee Chairman Trey Gowdy, R-S.C.
Nunes and Gowdy and White House Chief of Staff John Kelly will attend both briefings, conducted by Deputy Attorney General Rod Rosenstein, FBI Director Chris Wray and Director of National Intelligence Dan Coats. Kelly’s inclusion comes despite earlier remarks by press secretary Sarah Sanders, speaking before the second briefing was added, that no one from the White House would be at the noon meeting. 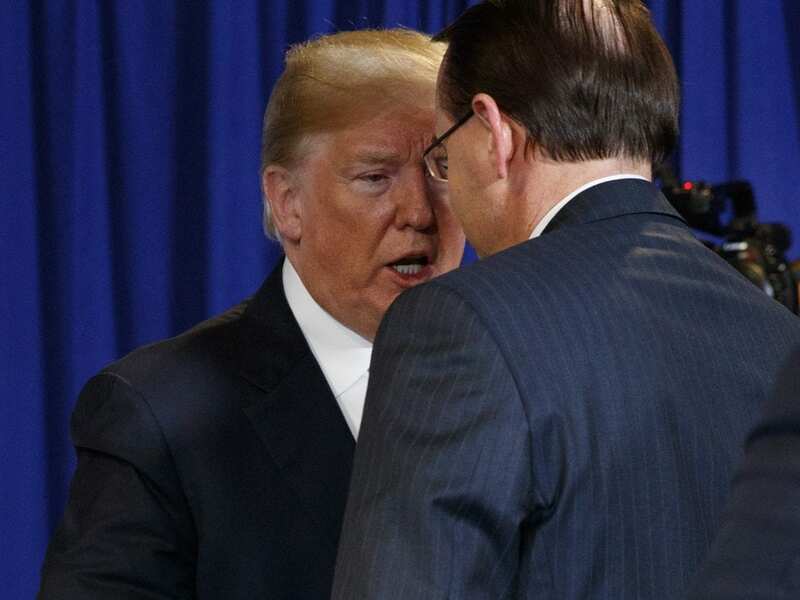 The briefings follow President Trump’s angry denunciations of what he has described as “Spygate” over the FBI’s use of a secret informant to determine whether aides from the Trump campaign were meeting with Russian officials. “According to reports, the FBI paid a confidential informant to meet with Trump campaign workers who had or were suspected of having contacts with foreign governments in 2016. That followed a tip via Australia’s Foreign Ministry that an American working for Trump in London had been meeting with Russian agents.